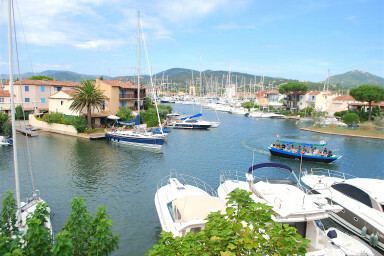 Nice fisherman house located in Port-Grimaud South in a quiet district. In front of the house, a place with trees to play Pétanque or for children to go cycling. - on the 2nd floor: a bedroom with a large bed and a balcony and a bathroom. On the canal side, a nice terrace leading to a 15m x 4,20m mooring. A charming house a few minutes away from the beach by walk.